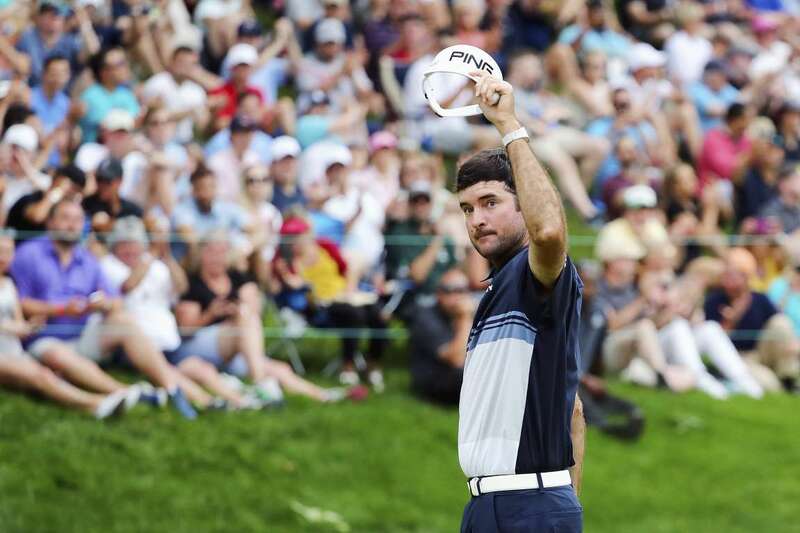 Bubba Watson waves to the gallery after making a putt for birdie on the 18th green during the final round of the Travelers Championship on Sunday in Cromwell, Connecticut. 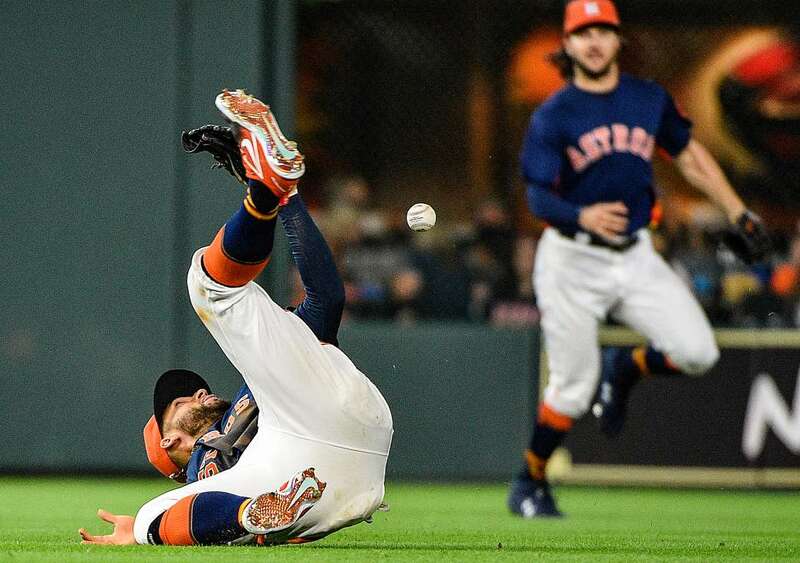 The Indians' Edwin Encarnacion, right, is safe at second base on an RBI-double as the Tigers' Niko Goodrum reaches but can not make the tag on Sunday in Cleveland. The Indians won 12-2. 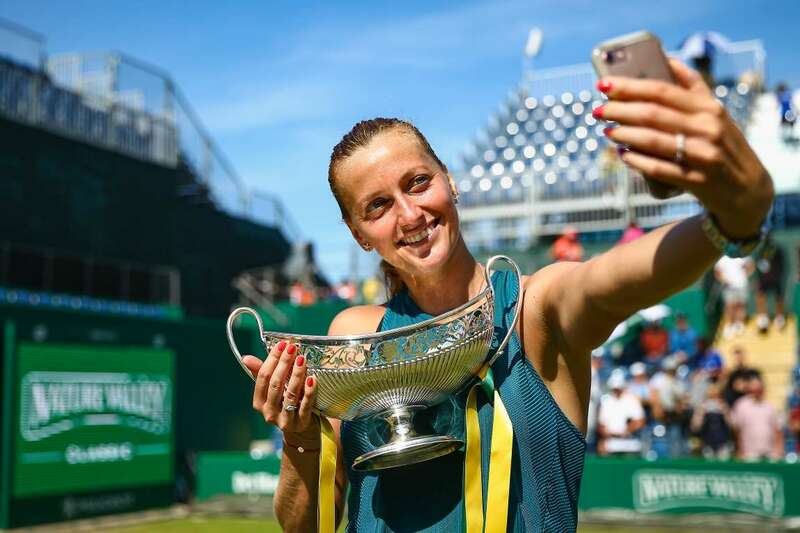 Petra Kvitova poses for a selfie with the Trophy after winning her Final match against Magdalena Rybarikova of Slovakia during the Nature Valley Classic on Sunday in Birmingham, England. Kvitova won 4-6, 6-1, 6-2. Irene Pollock dives for the ball against Emily Day and Betsi Flint during the final rounds of the AVP Seattle Open on Sunday in Issaquah, Washington. 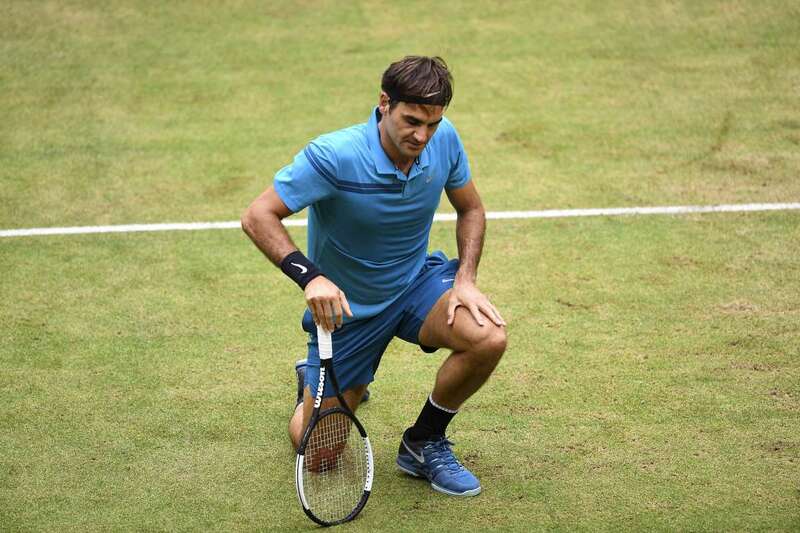 Roger Federer reacts during his final match against Borna Coric at the ATP tennis tournament in Halle, western Germany, on Sunday. Borna Coric won 7-6 (8/6), 3-6, 6-2. 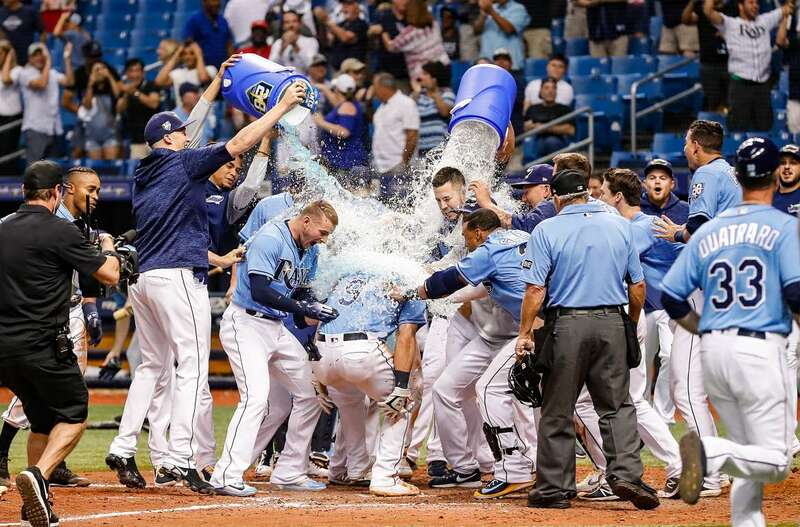 The Rays' Jake Bauers (9) is congratulated with a Gatorade bath by teammates at home plate after hitting a walk-off home run against the Yankees on Sunday in St. Petersburg, FL. Tampa Bay won 7-6. 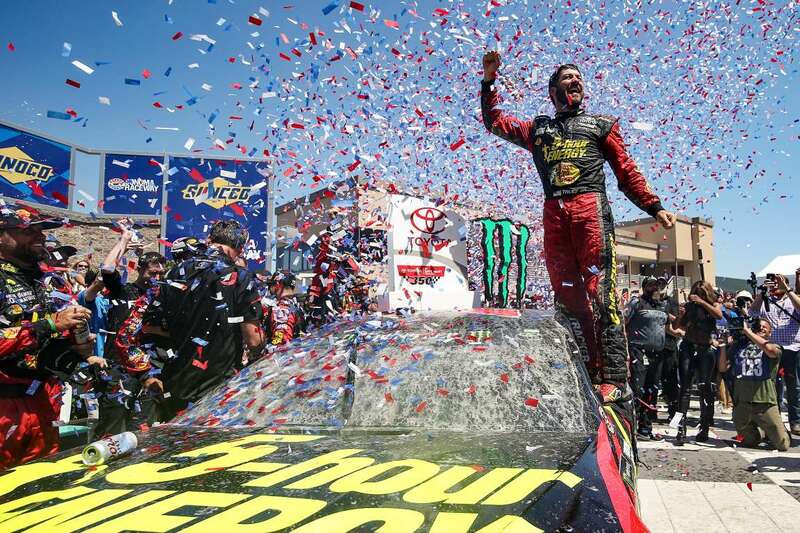 Martin Truex Jr., driver of the #78 5-hour ENERGY/Bass Pro Shops Toyota, celebrates in victory lane after winning the Monster Energy NASCAR Cup Series Toyota/Save Mart 350 on Sunday in Sonoma, California. 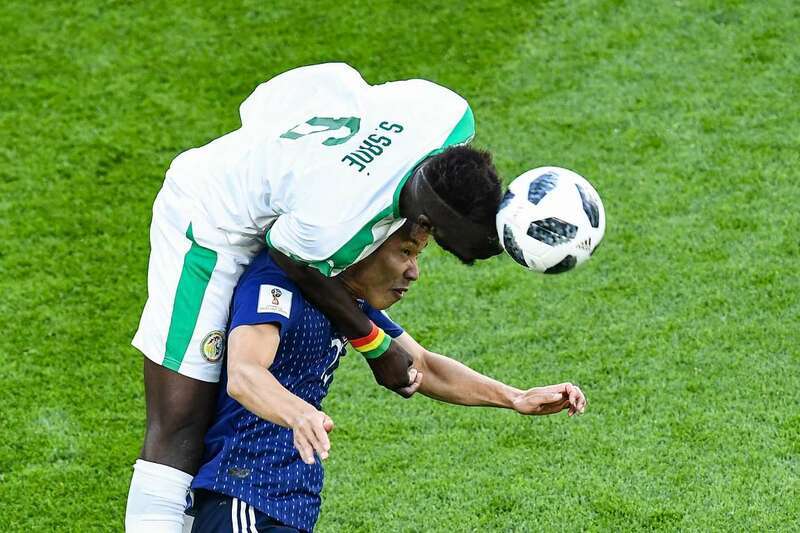 Senegal's Salif Sane (top) vies with Japan's Yuya Osako during the Soccer World Cup match in Ekaterinburg, Russia on Sunday. The match ended draw 2-2. 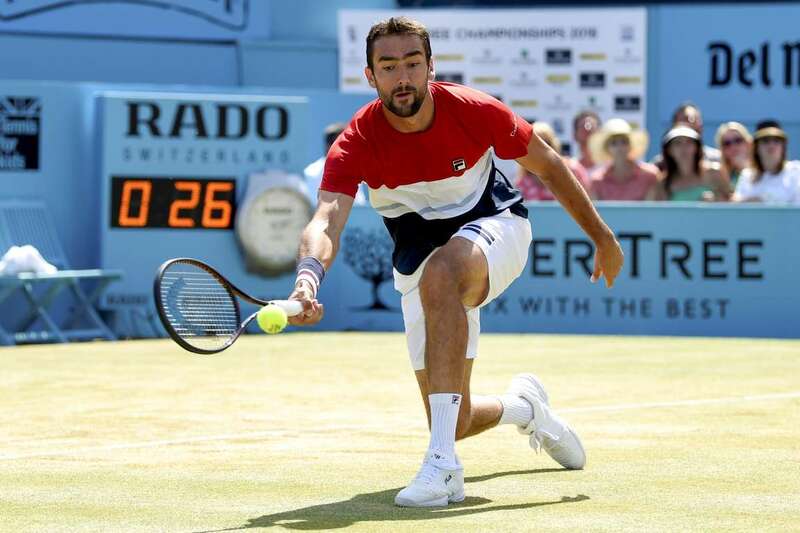 Marin Cilic in action during the final of the Fever-Tree Championships against Novak Djokovic on Sunday in London, United Kingdom. Marin Cilic won 5-7 7-6 (7-4) 6-3. 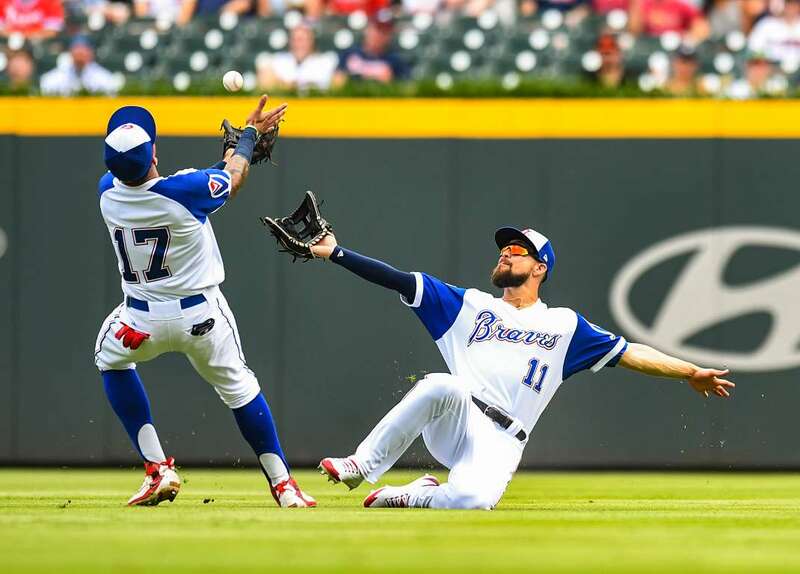 Ender Inciarte (11) of the Braves makes a sliding catch as Johan Camargo (17) closes in against the Orioles on Sunday in Atlanta, Georgia. The Braves won 7-3. 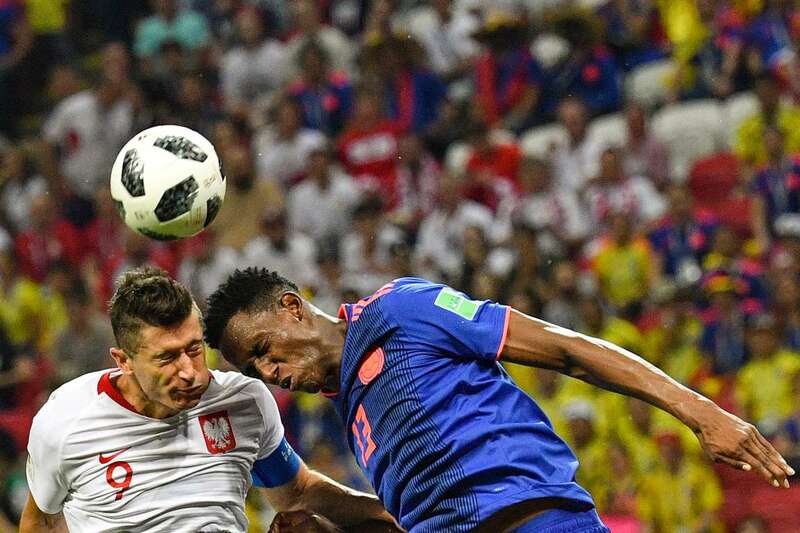 Poland's Robert Lewandowski, left, heads the ball with Colombia's Yerry Mina during the 2018 World Cup match in Kazan on Sunday. Colombia won 3-0. 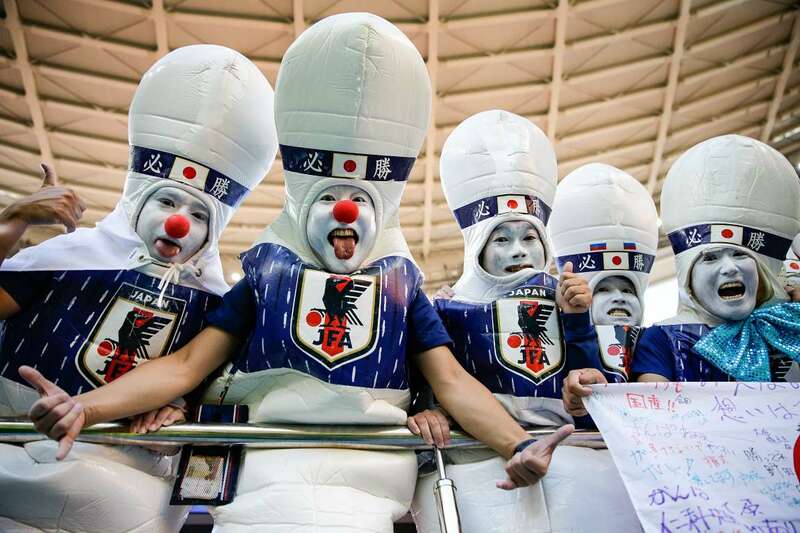 Japan fans support their team prior to the start of the match against Senegal at the 2018 soccer World Cup in Yekaterinburg, Russia, on Sunday. 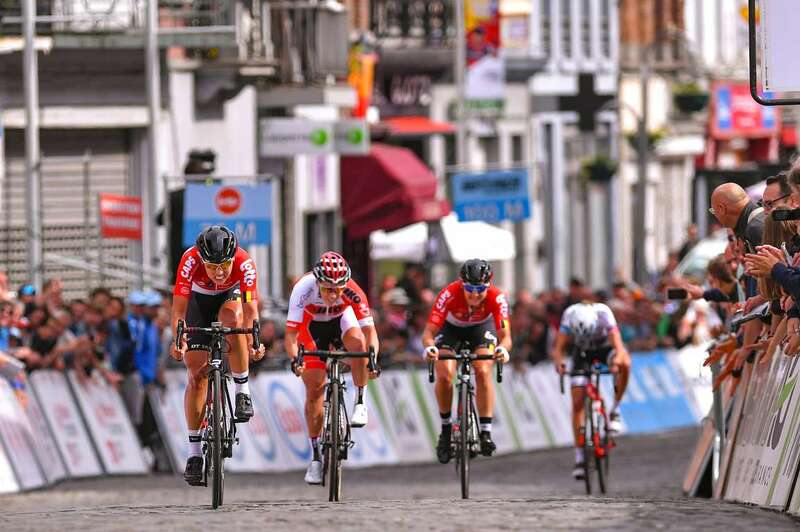 Cyclists compete during the 119th Belgian Road Championship 2018, Elite Women a 103,2km race from Binche to Binche on Sunday in Binche, Belgium. New York City FC's Ben Sweat (2) battles Toronto FC's Nicolas Hasler (26) for the ball on Sunday in New York City. New York won 2-1. 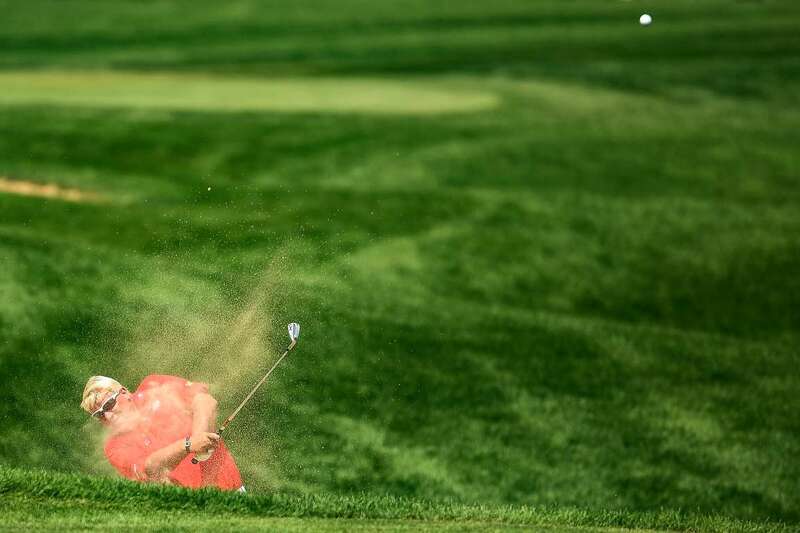 John Daly hits his second shot on the 18th hole during the American Family Championship on Sunday in Madison, Wisconsin. England's Harry Kane celebrates scoring their second goal against Panama on Sunday in Nizhny Novgorod, Russia. 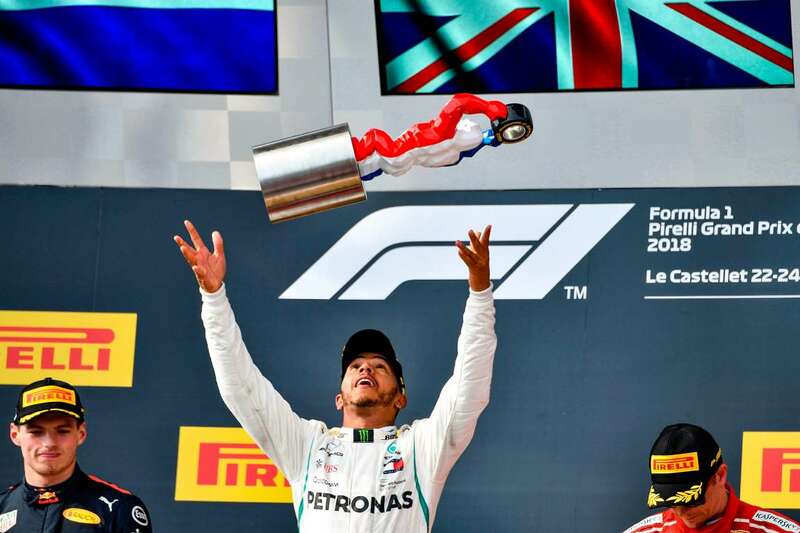 England won 6-1. Croatia's Bozo Starzevic, right, wrestles with Turkey's Yunus Emre Basar in the 67 Kg semi-final wrestling bout during the wrestling competition of the XVIII Mediterranean Games in Vilaseca, Spain on Sunday. 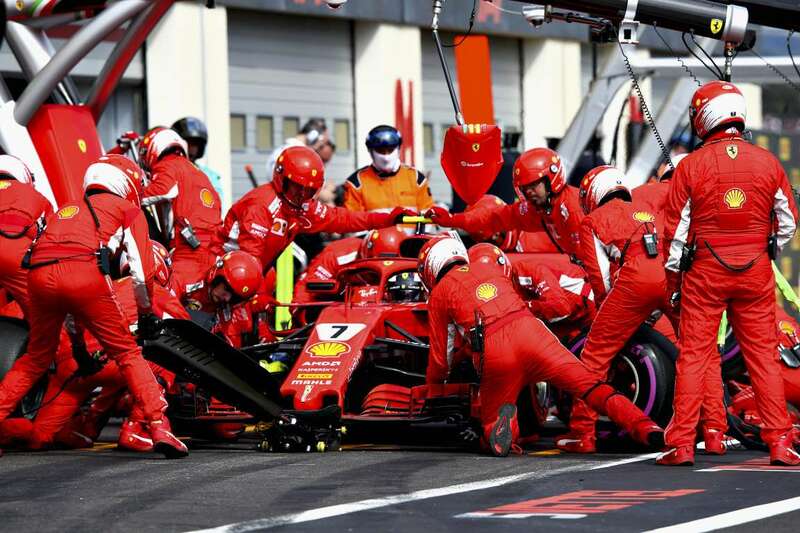 Kimi Raikkonen of Finland driving the (7) Scuderia Ferrari SF71H makes a pit stop for new tyres during the Formula One Grand Prix of France on Sunday, in Le Castellet, France. 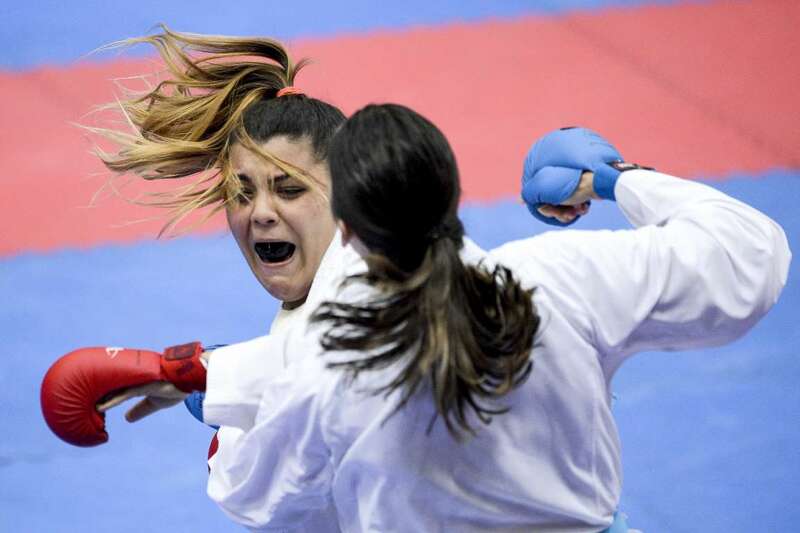 Tunisia's Chahnez Jami (L) and Turkey's Meltem Hocaoglu compete during the Women's Over 68 Kg Round of 16 Match 122 at the Karate competition of the XVIII Mediterranean Games in Cambris near to Tarragona on Sunday. 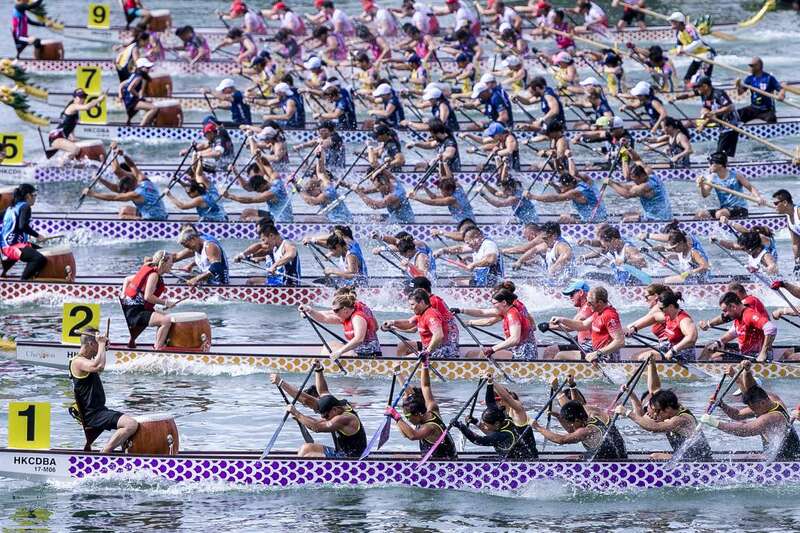 Participants competing during the Hong Kong Dragon Carnival on Sunday in Hong Kong. 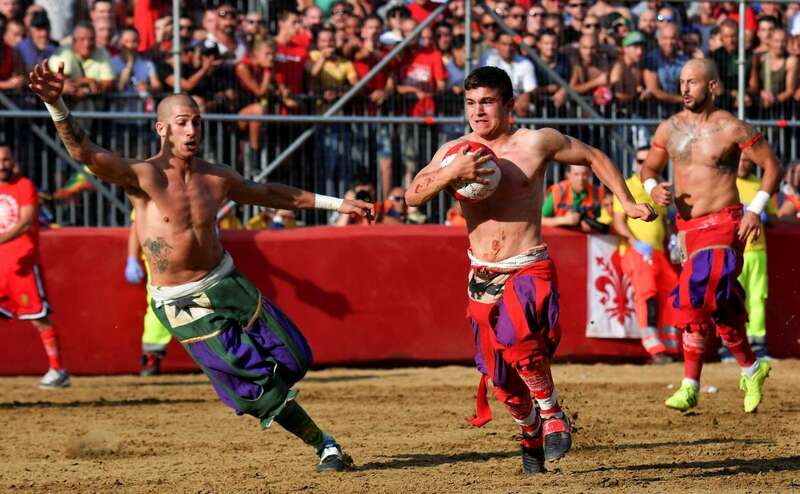 Players compete during the final match of the Calcio Storico Fiorentino (Historic Florentine Football) on Piazza Santa Croce in Florence on Sunday. 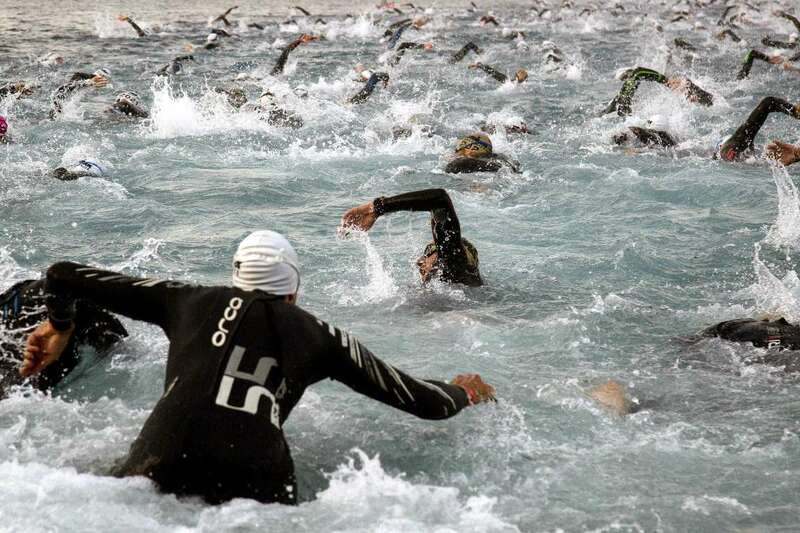 Participants compete during the swim leg of Ironman Nice on Sunday in Nice, France. 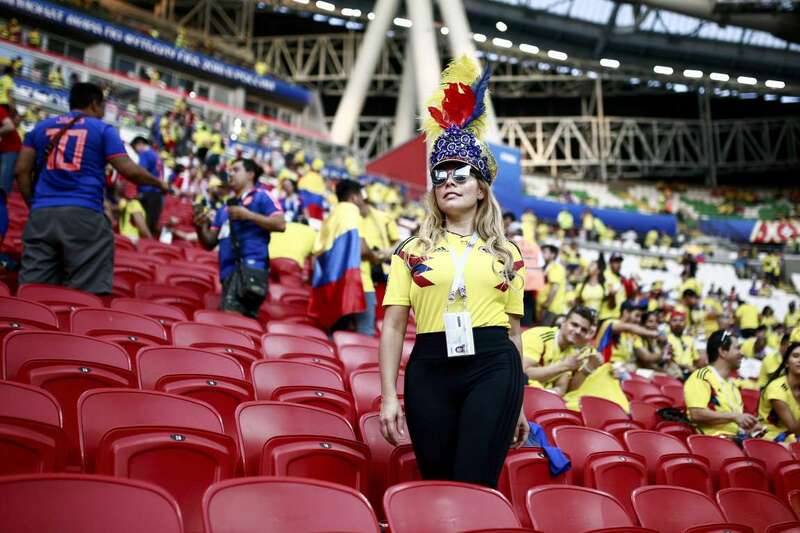 Colombia's football fan poses upon her arrival before the Russia 2018 World Cup Group H football match against Poland in Kazan on Sunday.